Donation Ideas » GetRecD Events - Get Recreational while DIRECTLY supporting cancer patients. Sadly, every one of us knows someone who has cancer. Every day is a battle, not only for the patient, but their family too. 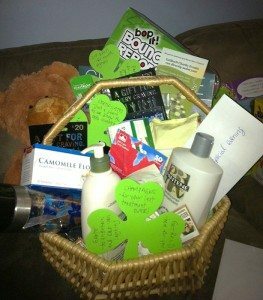 With the holiday season fast approaching, we would like to deliver as many battle baskets as possible, to patients in need. Majority of these patients use their limited income to cover hospital and medical costs, so GetRecD would like to support patients with meals, gifts and items to help them have the best holiday they possibly can. Any donation is much appreciated and will go directly to a patient and family in need. If you know of an organization that has items that may assist with filling these baskets, we would gladly accept items as well. OR Email transfer to laura@getrecd.org. If you want to send a cheque, please email laura@getrecd.org for the address.